As Noma Australia's long sold out run kicks off in Sydney, it's not just the ingredients on the plate that have a strong Australian focus. The drinks list features several Australian beers, including some created especially for the restaurant. 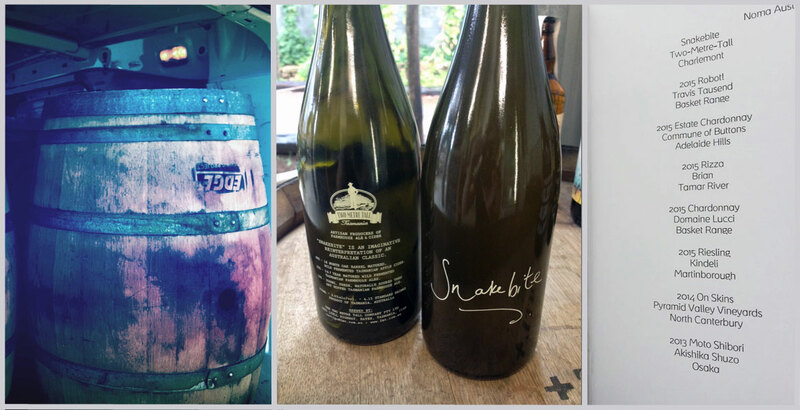 Time for our penultimate look back on the year in beer. This time our attention turns to New South Wales, where a panel led by Nick O cast their minds back over 12 months and came up with the new releases that impressed them the most. For the fourth of our Best New Beers of 2015 roundups, we look at the state with the largest number of breweries and brewing companies. Which ten beers did our panel reckon were the best of the year? And do you agree? Who Brews Watts River Beers? When Lion announced its decision to move White Rabbit to Geelong, many bemoaned its loss from Healesville. But now two former White Rabbit brewers and their partners have set about bringing a new brewery to the town. Wollongong is set to welcome its second brewery. Glen Humphries joined Phil O'Shea at the home of Five Barrel Brewing as he prepared to brew his first beers. Look out for the brewery's launch in the coming weeks. Red Duck this week marks a decade of brewing. It's been a decade in which boundaries have been pushed and history plundered for inspiration, with spirits next on the agenda. A noble goal, unfettered ignorance, vitriol, unpleasantness, dismay and, ultimately, rebirth and redemption. The remarkable story of Tasmania's Two Metre Tall.